For many decades western historians had to rely on each other to incorporate specific details about Emperor Alexander III into their own publications. Few availed themselves of the opportunity to travel to the Soviet Union to personally conduct their own research in the State Archives. For many the Russian language was a barrier to facilitate such an exercise, while no doubt for the majority, after a century there seemed to be no reason to examine in more detail how Alexander III died. There is a paucity of English language publications describing this somewhat elusive Russian Emperor. Most entries appear as part of a series of Russian rulers that offer little depth to Alexander III as the man. Western historians tend to accept the various details about this Emperor as being credible. Unfortunately no one in the west bothered to question whether the allegations claimed about his personal habit of alcohol abuse were indeed factual. This one detail neatly provided a presumptive cause of death. However in reality that presumption failed to correctly reflect the medical records of the attending physicians and the pathology report. Agreeably the problem may be attributed to the fact that these records were in the Russian language. However with the collapse of the communist regime, engaging in archival research with the assistance of professional translation services is no longer the barrier it once was. I am of Russian ethnicity with fluency in the language and have professional medical qualifications. Consequent to my personal interest in Russian Imperial history I was able to identify these newly published facts and now offer them here for the first time in the English language. The conclusions raised by the contemporary Russian historians contradict current western understanding about who Alexander III really was and what the probable cause of death actually was. 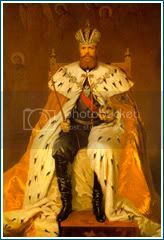 Alexander III (1845-1894) was often described as resembling a muzhik (common man) (7) because of his rugged portly appearance and immense proportions accompanied by manners more akin to the ordinary man than that of a man of royal birth. Perhaps it was these less than imperious traits that contributed to the derogatory myth that first appeared in Europe after his death. The first myth that was bandied around was that: Emperor Alexander III abused alcohol. Such an allegation was no doubt more convincing because Alexander Alexandrovich had suffered from renal failure during the latter years of his life. From a medical standpoint, renal disease can contribute to the cause of death of patients, but as we shall see in Alexander's case it was not the actual cause of his death. At no point during the Emperor's periodic medical examinations; especially during the latter years, was there a suggestion of underlying Liver Disease. This was the second myth. Such a diagnosis would have observable and would have been expected with persons who abused considerable volumes of alcohol for an extended period. The negative scenario was strongly emphasized by the western historian Orlando Figes, who noted rather boldly stated that Alexander, had a "fatal addiction to liquor" and that his son Nikolai "grew up in the shadow of this boozy colossus". (8) With predictability, western writers have reiterated essentially the same details, although a few preferred to stress the point with more negativity whilst characterizing the autocratic rule of the emperor rather than the activity itself. More recently, one author preferred to insert the following alleged witness account from a Danish Court representative to highlight that alcohol was practically consumed to the Emperor's last breath, and thereby creating the third myth: "Then without pain [Dr] Hirsch was presenting him with a glass of wine бн Sasha gave a sigh and his head dropped onto Dagmar's breast. Alexander was dead. "(9) Evidence by actual witnesses who were present in the room at the time of death, describe a completely different impression. Only family, physicians and priests were permitted to be with the Emperor. Mariya Fedorovna ensured that Alexander was isolated from all visitors. (10) One can only wonder why the diary entries of Alexander's son Nikolai Alexandrovich (1868-1918) and daughter Ol'ga Alexandrovna (1882-1960) were not used to provide a more accurate account of the Emperor's final moments. Is there any credible evidence to dispel the claim of alcohol abuse? As it turns out, there certainly is, and the reason behind the manufactured myths served its masters well until recently. It has been alleged in the west that General Cherevin provided the secreted alcohol to the emperor and that these details were gleaned from his memoirs. However, Bokhanov affirmed that Cherevin never wrote his memoirs! It is tempting indeed to speculate that Cherevin may have served as the model to create this myth; however to investigate this mystery further, a connection to Cherevin needed to be established in the absence of those purported memoirs. Bokhanov noted that the stories about flasks, the morning hangovers and so forth came from the imagination of a physicist by the name of Petr Nikolaeyevich Lebedev (1866-1912) who was a professor from Moscow University and founded the Moscow physics society. (17) There are no records of Lebedev ever having met the Emperor, but he did apparently associate with General Cherevin. Their mutual friendship, it was claimed, developed in Istanbul after the Emperor's death, when Cherevin allegedly came to visit his sister, Nataliya Shultz, who just happened to be the estranged wife of the good professor. The young Lebedev was preparing to defend his philosophy candidacy at the local university. As the story goes, during their heart to heart conversation in a local cafe, Cherevin "opened" Lebedev's eyes about the personal failures of Alexander III. Bokhanov stated that in reality Lebedev never wrote about these legendary revelations, nor was he able to disclose any other issues relating to the Emperor. Why is it that no one stirred to disclaim the story that was first published in a socialist publication printed after the Soviet revolution? It seems extraordinary there was a failure to consult imperial Russian references, along with the brilliant 1895 English publication by Charles Lowe (27) (which remains the only comprehensive English language reference available). No one questioned the variations presented by the leftist source. No one questioned how plausible was such a source of information. Alarm bells should have been raised at the very least. Decades passed and still no one bothered to check the veracity of those allegations. Thus, the spurious socialist inferences originally created to discredit the Romanov dynasty, in this case, Alexander III succeeded in establishing itself as a "historic fact". Contemporary Russian historians state that there are no archival documents, critical notes or diary entries that attest to the Emperor's drunken episodes. Not one single piece of evidence was found. Furthermore not a single published memoir had ever suggested that there was such a problem with Alexander III's personal habit of consuming alcohol. In the absence of any such expressions - it is obvious that the allegation was indeed fabricated and everyone in the west accepted the stale bait. The Emperor never drank vodka or liqueur or distilled products, but did enjoy kvass which was a traditional medieval fermented brew made from rye bread or grain which he served to guests as an "exotic drink". He was never drunk, and at formal functions drank a flute of champagne diluted with water. (28) Alexander was a very religious man who observed all Orthodox Lenten periods, which take up extensive periods of the Church Calendar. That fact alone would preclude any alleged alcoholism. It would be incomprehensible for any reasonable observer to contemplate that Alexander would compromise himself when he was trying to purify the Court from all its excesses. Furthermore taking the scenario one logical step further; an Emperor was on duty 24 hours of each day. To be found in an alcoholic stupor would be very compromising indeed. Such an indiscretion would have crossed the boundary of social decency and if such an event would have occurred even once, then his enemies would have relished the idea and published the "occurrence". All those who met him stated that he was a man of virtue and that he sincerely expected that the religious ideals he practiced were to be emulated by the citizens of Imperial Russia. During the soviet era that lasted beyond seventy years, no experts inside the country were encouraged to re-assess the fallacious story that flourished abroad after the collapse of the Imperial Empire. Historians inside the Soviet Union remained mute while those in the west perhaps too readily preferred to accept the myths that flowed as a consequence of soviet disinformation. They preferred to tarnish Alexander III for their own self-serving interests. Thankfully contemporary Russian historians searched for the truth and found it. The Emperor suffered from one form of Glomerulonephritis. What many authors have failed to appreciate is that the condition Glomerulonephritis contributed to his death. Few historians may be aware that this condition is symptomatic of a multiplicity of underlying pathologies, including hypertension, infection, and malignancy to highlight a few causes that can contribute to renal failure. To attribute alcohol as the direct cause of his death is erroneous and only perpetuates the socialist myth-maker's claim of 1912. Those myths certainly led to a neat cause of death, but in the absence of reviewing an autopsy report or any clinical records it is unwise to leap to such unsafe conclusions. Let us go back and review the available information and piece together some of the available documented evidence. This might have been the first documented symptoms expressed by the Emperor. Professor-physician Vil'gel'm Fedorovich Grube (1827-1898), was the director of the Kharkov Clinical University, (36) and was the first clinician to observe the Emperor after the accident. He observed that Alexander sustained a blunt trauma to the kidney region. Pain in the region of the emperor's waist was observed and found to be associated with obvious weakness. (37) The trauma was caused by a non-penetrating external force. The only initial sign of injury would be bruising to the area of impact. However hematuria (blood in the urine), which is the cardinal sign of kidney damage, may be either visible to the naked eye or assessed only on microscopic examination of the urine. Professor Grube (and this author agrees with his learned medical opinion), contended that this was the starting point of the Emperor's medical problems. On a trip to Denmark in August 1893, the Emperor experienced epistaxis (blood loss from his nose) which was so severe that he experienced visible signs of weakness. (39) It was spontaneous and normally would be considered worthy of medical attention in our times, especially when hypertension may be the underlying cause. (40) Unfortunately this pathological phenomenon could not be measured during Alexander's lifetime (not until 1896) (41). Repeated small bleeds over a period of time can lead to anemia with its consequent problems if left unattended. The consequence of this letter caused Professor Grigorii Antonovich Zaharin (1829-1895), a notable Russian therapist, (43) to be summoned from Moscow University, in January 1894 to attend the Emperor. In the capacity of a consultant only, he diagnosed that the Emperor was suffering influenza, which is a highly contagious respiratory infection that will cause extreme fatigue. According to Lowe, it was the second bout of this disease. (44) Nothing medically could be done except to prescribe sleep and rest. (45) After two weeks recuperation, the Emperor began to resume his formal duties, and against medical advice to continue resting. (46) Symptoms of influenza may persist for three or more weeks. According to a letter written by Professor Zaharin to the Moscow Gazette, (49) there was no evidence of chronic kidney disease at that time. "The attack of influenza undoubtedly weakened the Emperor, but his health was already far from good. He had been severely weakened by an extraordinary bleeding from the nose,н after which all the autumn he suffered from fever and bronchitis. I was first called in January, and the daily chemical and microscopic examinations бнshowed no signs of nephritis. The action of the heart was normal." With the ever present memory of his father's assignation in 1881, the fear of a terrorist lurking to end his own life would never have been far away. Traumatic shock may occur as a result of a crushing abdominal injury. It is a critical state brought on by inadequate peripheral blood flow through the body, causing a drop in blood pressure (hypotension) and depletion of oxygen to body organs. It can compromise kidney function by restricting the removal of waste products causing acute kidney failure. (51) Over a period of years, with additional medical crises, without treatment, the acute phase will become chronic. This process will take years to progress. On 28 February, Alexander III turned 49, which would prove to be his last birthday celebration. We should remember that the emperor had received a blunt trauma to the kidneys, and that he was in experiencing pain in that region one year after the event. It would not be inconceivable that the viral infection caused his already compromised kidneys to deteriorate further. His imperial duties and overall distrust of medical attention (56) also precluded him from recovering properly after the first event иC the Borki train accident. Alexander preferred natural remedies, but rest was not among the choices he permitted himself. The same pattern in not adhering to medical advice after his influenza attack continued иC avoidance of complete rest. Overwork, lack of sleep (57) and including the Emperor's habit of going outside in all weather: the extreme cold winter or the damp of late summer and also the intense cold of his bedroom (58) was less than ideal. These deficiencies in his recovery process, all the doctors agreed, exacerbated his medical status to the point of no return. A clinical exam conducted in July by Leib-Hirug Gustav Ivanovich Hirsch (1828-1907) revealed the presence of albumen. (60) This result forwarded onto Professor Zaharin prompted a more complete evaluation of their patient. By this time Alexander had lost considerable weight. The next medical crisis appeared on 7 August 1894, (61) at Krasnoe Selo, whilst on maneuvers. Following a horse ride over 12 versts, he fainted and was moved immediately to the infirmary at 5 pm. To the attending physicians and his family, he appeared most unwell. He was barely able to move his legs, his eyes were lackluster and his eyelids were drooping. The Tsesarevich Nikolai Alexandrovich announced to the attending that the Emperor's kidneys were not functioning properly. By 9 August, 1894, the Emperor's health deteriorated further. He experienced sharp pains in the region of his waistline. (62) Professor Zaharin was summoned back to Gatchina accompanied by Professor Nikolai Fedorovich Golubov (1856-1916?). Professor Golubov was the Director of the Therapist faculty at Moscow University. (63) At this examination the microscopic evaluation confirmed the presence of albumen and clumps of red blood cells (casts) in the urine. Uremia иC excess urea in the blood was also identified. This confirmed the diagnosis of nephritis. Dr Leiden agreed with the diagnosis. Furthermore, the clinicians detected a cardiac insufficiency иC abnormal heart rhythm and enlargement of the left ventricle. He was experiencing somnolence, nausea and had a bad taste in his mouth. (64, 65) All these details were printed in the St. Petersburg newspaper Niva # 46. With the associated muscular pains, and cardiac involvement the condition had progressed to the chronic form. The Emperor's condition was now terminal. Nephritis is an inflammation at any site of the kidney tissue, (66) where there is infection in either the filtration tubules иC the glomeruli leading to Glomerulonephritis; or within the surrounding interstitial tissue, and can include renal blood vessels. It could also affect all sections of the kidney at the same time. The kidneys are unable to concentrate urine or excrete metabolic waste products from the body. The result is that urine production diminishes and there is a toxic overload in the blood. When damage is severe, inflammatory cells and the injured glomerular cells accumulate, compressing the capillaries within the glomerulus and interference with filtration is its consequence. Nephritis can be a symptom diagnosed as a complication of Glomerulonephritis. The current optimal treatment of dialysis and transplantation was not an option in Alexander's era. The prognosis depends on the cause, the person's age, and any other diseases the person might have. With trepidation, knowing that the Emperor appreciated only the truth, a report was presented to the Emperor by both Zaharin and Hirsch. The patient was informed of the bad news иC that his prognosis was very poor, and that his condition was terminal. It was patently obvious to all that the giant Bogatyr - a Russian folklore warrior of heroic proportions; a name given to him by his beloved grandfather Emperor Nikolai I (1796-1855), was now a shadow of his former self. This letter is not just intriguing by its content but it is Alexander's final written correspondence with anyone. Alexander had only 42 days to live. The physicians quite correctly restricted his diet and reduced his protein intake of meat and fish, to minimize the protein overload on his deteriorating kidneys, and to stabilize hypertension. Isolated from visitors except his family and physicians, some of whom came from abroad, to maintain privacy, the dying Emperor was able to sit in his wicker chair and stare at the sea with his wife constantly by his side. (82) Nikolai noted in his diary on 7 and 8 October that his father gained an appetite by nightfall, and was able to read dokladi (reports) and newspapers. (83) Sadly any quality sleep had eluded him. The physicians observed that his tiredness had increased, and that the peripheral edema had increased slightly while the activity of the heart remained stable. (84) At the microscopic level there was a progressive increase in albumen in his urine, this is indicative of renal failure. On Sunday 9 October, Nikolai Alexandrovich wrote that his father experienced a number of episodes of epistaxis (bleeding from the nose). By this time his skin became extremely itchy, and against the wishes of the Tsaritsa he sought the assistance of his son, Mikhail, to apply a coarse brush to his feet. (85) This is a classic symptom accompanied with an unpleasant sensation in the oral cavity. These symptoms are often observed in patients with end-stage renal failure. He received daily massages, but soon even these delicate manipulations proved ineffective. Lieb-medik Professor Nikolai Alexandrovich Vel'yaminov (1855-1920) ascertained that aside from nephritis, the emperor was experiencing cardiac failure, which was evidenced by sharp chest pains and breathlessness. It is of some interest that on this day the family solemnized the 6th anniversary of the Borki train derailment. As was customary, they all took the holy sacraments after the Panihida (Orthodox rites for the dead), (90) to remember the ones who did not survive. By the 18th October all of Russia awaited the inevitable. His health on this day deteriorated considerably. All Alexander could do was sit in his favorite armchair. He had refused pain relief because of he was always suspicious of all medication. With an immense show of dignity, disliking theatrics, he never complained of his discomfort and suppressed any groans from the pains (91) coursing his tired body. Breathing was difficult (hypoxia), with overwhelming tiredness. The physicians at 10 a.m. determined that the Emperor now had multi system dysfunctional syndrome (previously referred to as multiple organ failure) (92) иC where two or more solid organs are no longer functioning correctly. There was also evidence of an infarct in the left lung. (93) Organ failure is a common consequence of infection and shock (low blood pressure or hypotension, leading to a reduction in the flow of blood). The condition is also associated with a deficient immunologic and endocrine function. Simply stated all his inter-dependent organs were physiologically shutting down. This clinical condition leads to the death of the patient with hours or days. The evening Bulletin, issued at 10 p.m. announced that the emperor was now experiencing chills; (96) which is a secondary symptom associated with fever and occurs in an attempt to produce heat in order to raise the body temperature. His temperature was slightly elevated to 37.8C and the pulse was weak but elevated to 90 beats/minute. Livadia. 20 October, 11h morning. On 22 October, at 7 p.m. an autopsy was conducted and the Report is provided below for the first time in English in Table 1. 1. Significant interstitial edema in the extremities. 2. Blotchy redness on the left shinbone (between the ankle and knee). 3. In the left pleural cavity, 200 cc of "buttermilk" fluid, with red tinge. 4. The right pleural cavity contained 50 cc the same type of fluid. 5. The right lung had ancient fibrosis (scar tissue) in the upper right quadrant. 6. Pulmonary edema in right lung. 7. In the left lung edema in the top half of the lung and a hemorrhagic infarct in the lower half field. This lower field is filled with blood and contains little air. 8. The hemorrhagic infarct is located at the upper edge of the lower field of the left lung and on dissection is triangular shape 1.5 cm long x 1.0 cm diameter. 9. The pericardium was filled with 30 cc "buttermilk" fluid. 10. Heart was significantly enlarged (Cardiomegaly), 17 cm long x 18 cm diameters, extensive accumulation of fatty deposits (Lipomatosis cordis); the heart contracted poorly. 11. The left side of the heart was enlarged, and the wall of the left ventricle was thickened (2.5 cm). 12. The muscle of the left ventricle was pale, dry and yellow in color (degenerative infiltration of myocardial adipose tissue). 13. The right ventricle wall was reduced (6 mm) and is also yellowish in color. Pericardium was normal. 14. In the stomach there was approximately 200 cc "buttermilk" fluid. The stomach and intestines were filled with gas. 15. The liver was slightly enlarged, and highly vascularized. Professors Zaharin, Popov and Leiden, and Lieb-mediki Hirsch and Vel'yaminov published the following official cause of death 28 October (102) in Niva, 1894, # 45. "Chronic Interstitial Nephritis subsequent to cardiovascular disease, hemorrhagic infarct in the left lung, following inflammation." The autopsy report confirmed the ongoing clinical history. Nothing else remarkable was found. The most significant findings were renal disease that contributed to an enlarged heart. However more relevant to this appraisal there was nothing unusual found in the liver. The autopsy report did not identify the presence of any form of liver disease. This clear finding it must be agreed is at all odds to the allegations that the Emperor abused alcohol. Any consideration that the Emperor suffered underlying liver disease (Alcoholic Cirrhosis) must be excluded. In the absence of medical intervention Chronic Interstitial Glomerulonephritis (CIG) is the final inflammatory response of the kidney by a variety of insults. There is slow progressive destruction of the interstitial spaces outside the glomeruli filtration system, but can include the glomeruli of the kidney. The progressive loss of kidney function leads to end stage kidney disease, cardiac disease and death as the final outcome. By far the most common form of CIG inflammation is due to an immunologic response, such as a previous viral infection (influenza). 1. Hypertonia associated with primary hypertrophy of the left ventricle of the heart. 2. Arteriolonephrosclerosis (indicated by the fine granular surface of the kidney). 4. Chronic venous infiltration in the liver. 6. Choric Thrombophlebitis in the left leg. 7. Thromboembolism in the pulmonary artery. There was no new pathology described for the liver. This new evaluation of the autopsy report does not in any way detract from the original findings. It merely places the original observations into a modern context. Hypotonia was not known until it was first described by G. F. Lang in Soviet Russia in 1922. (104) It is a condition marked by an abnormal increase in muscle (or arterial) tension limiting muscle tone. (105) It is caused by injury to motor pathways in the central nervous system. An infarct is an area of tissue in an organ such as the lung in this case, that undergoes necrosis following the cessation of blood supply. It may be due to an occlusion of the vein supplying the lung. Pulmonary infarction is due to an embolism. (106) Evidence of this event was described by the original Russian pathologist and confirmed by the recent evaluation. It was described as a hemorrhagic infarct because of its red color caused by the seepage of red blood cells into the necrotic area. The embolism originated from the Emperor's left leg. Thrombophlebitis (107) is a condition in which a blood clot causes the inflammation of the vein in an extremity such as the leg. The dislodged clot (thrombus) would have then traveled to the lung causing a blockage. Clinically this is described as a pulmonary embolism. [Refer to Table 3.] That embolism was observed on autopsy. The presence of marked red skin which extended between the ankle and medial lower leg provided pathological evidence of Thrombophlebitis. It is a typical sign of chronic venous stasis. It is a common manifestation in immobilized patients and those with congestive heart failure. Most patients will have cardiac arrhythmia (irregular heart beat) which can precipitate a cardiac arrest. Returning back to the definition used by Dr Vetz, Cardiac Decompensation it simply refers to heart failure. It occurs when the heart fails causing insufficient blood to reach to the organs of the body, starving them of oxygen. Heart failure is often referred to as congestive heart failure. The pressures of the chambers filling the heart become elevated causing high lung pressures and shortness of breath. Glomerulonephritis was certainly present, but that condition was not what the caused the death of the Emperor. In the west many rumors have persisted in literature about Alexander's alleged alcoholic abuse. As a result of the new evidence extracted from Russian Archival sources that were published in two recent books focusing on the life of Alexander III that information has been presented here for the first time in the English language. It is my personal desire that the myths surrounding Alexander III must be dispelled forever in view of the information presented here. Taking note of the medical and historic details alluded to here for the first time in English and in this more complete format; it would be worthy that western historians shall from now on provide more respect to a Russian patriot who was Emperor of Imperial Russia for thirteen years (1881-1894). I have offered information that completely contradicts accepted western beliefs that Emperor Alexander III abused alcohol. All the medical evidence that I have presented offers proof that Alexander Alexandrovich died from a completely different cause than has been believed. Both the original and subsequent modern evaluation clearly indicates that the Emperor died from heart failure. The Emperor was a man of contradictions who came to power because of a terrorist persecution against his father, Alexander II. Alexander III was a pious, honest man lauded for his peacekeeping abilities to protect Russian borders from military intervention. To discredit him by believing in the spurious soviet disinformation is wrong and unjust. It is time to re-appraise this largely unknown figure in Russian history and permit him rest in peace. Indeed, it is appropriate to initiate this renewal during this auspicious year when Alexander III will be finally united with his wife the Dowager Empress Mariya Fedorovna in death at the St. Peter and Paul Cathedral in September 2006. 40. Corrigan, R. Epistaxis and Hypertension In: Postgraduate Medical J. 1977 May;53 (619):260-1.